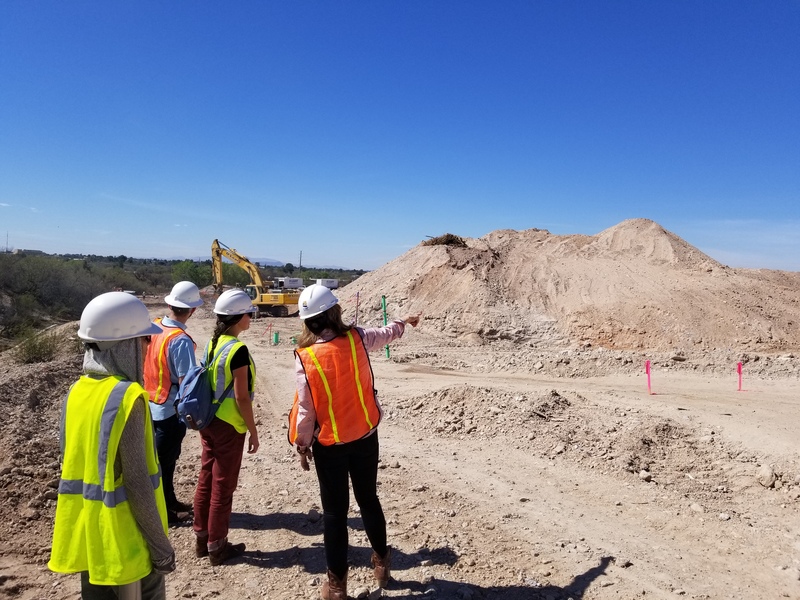 Shadow Day 2018 with University of Arizona Landscape Architecture Students – Novak Environmental, Inc.
Novak Environmental, Inc. is excited to announce another successful Shadow Day with the University of Arizona College of Architecture, Planning, and Landscape Architecture (CAPLA) students! 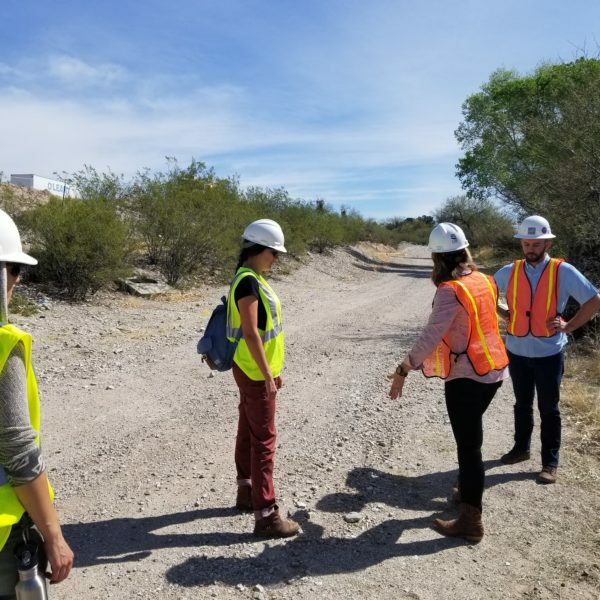 Every year, the University of Arizona Landscape Architecture Student Chapter of the American Society of Landscape Architecture (ASLA) organizes regional firms to host landscape architecture students for a few hours of shadowing the activities of a working firm. 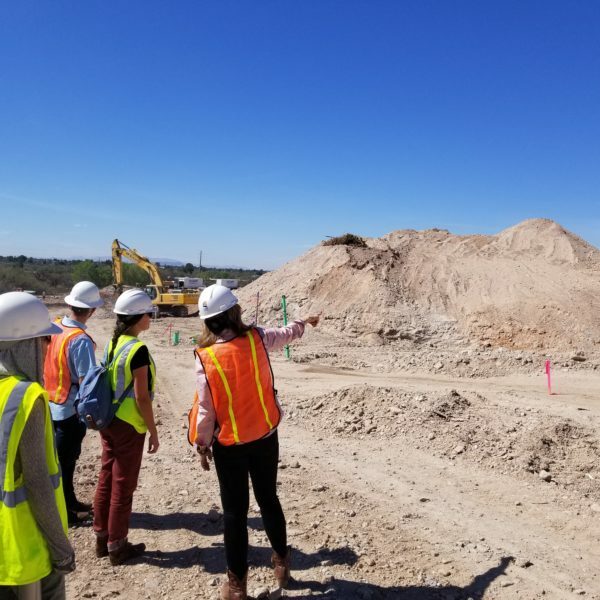 This is not only a great way for students of landscape architecture to see what it is like in a working office, but it is a fun way for firms to connect with the upcoming generation of landscape architects. 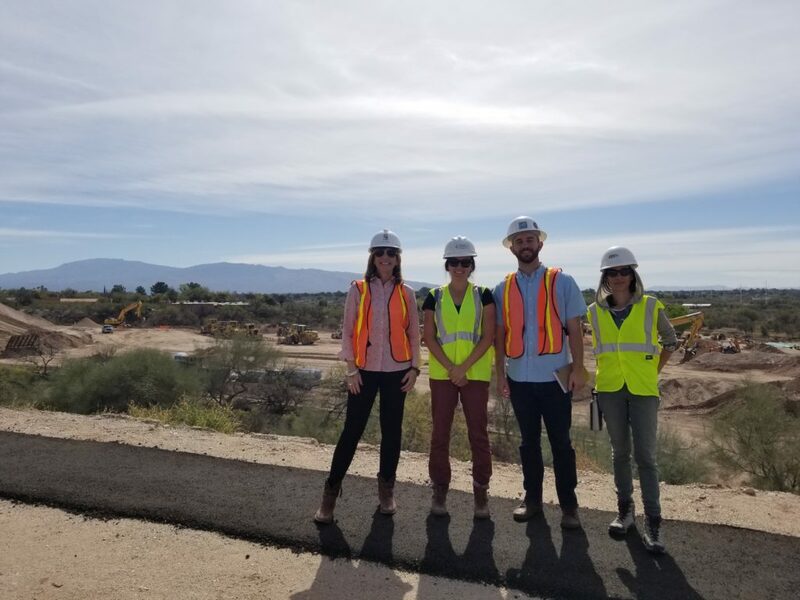 This year, Novak Environmental, Inc. was able to host three landscape architecture students from the University of Arizona CAPLA, and take them to see one of our projects which is currently under construction. Before heading out to the job site, we met at the office of Novak Environmental, Inc. 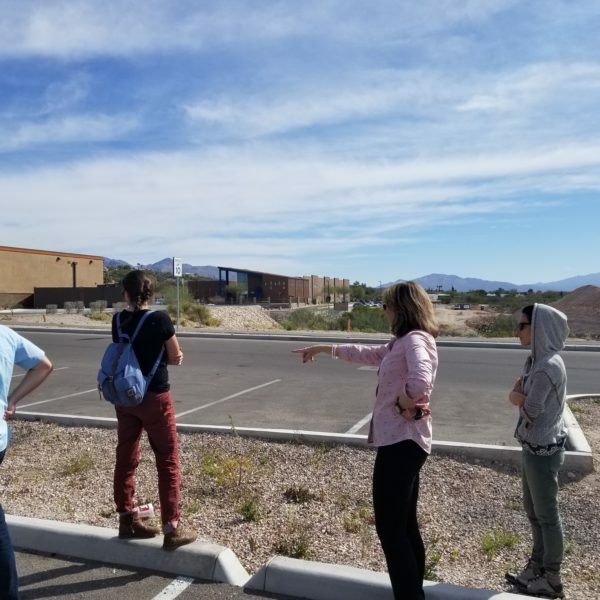 There we introduced the landscape architecture students to the work that went into the project before the construction started. This included a city annexation and a Planned Area Development (PAD) for the project area. 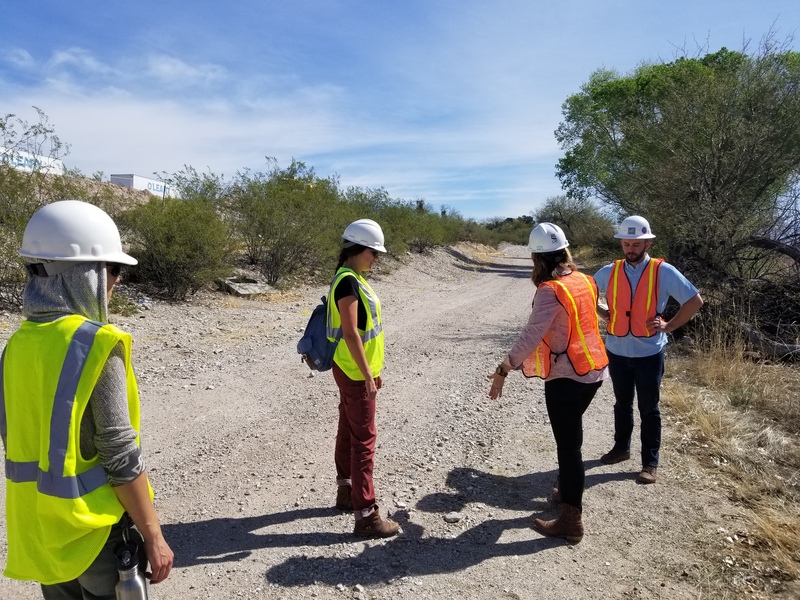 We also looked at the results of the field work completed on-site which inventoried native plants under the Native Plant Preservation Ordinance (NPPO) protocol so that they can be mitigated accordingly. After the briefing, the group headed out to the job site. 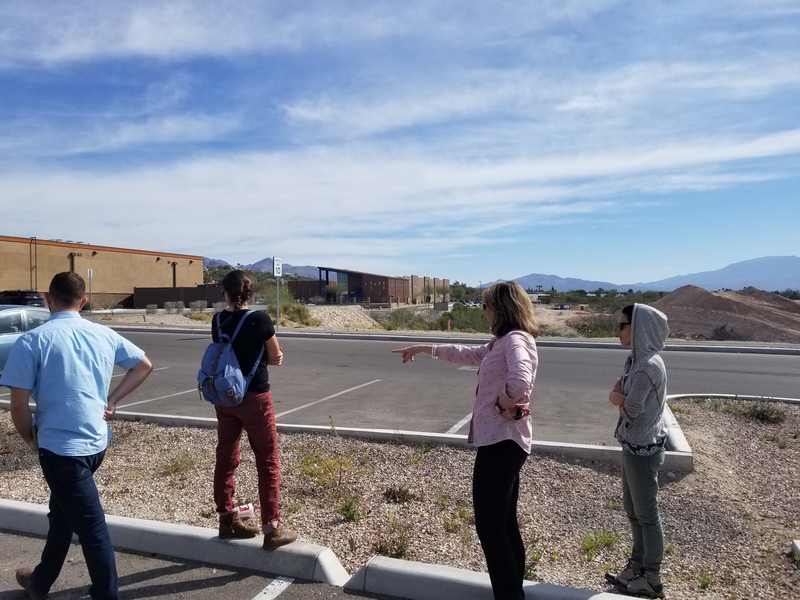 Once the group arrived at the job site, the tour started with a look at some of the water harvesting features built into the parking lot designed by Novak Environmental and finished in an earlier phase of the project. Karen Cesare (President of Novak Environmental, Inc.) showed the landscape architecture students how micro-grading in the swales to create small check dams was used to slow the water flow within the planting area and allow more time for infiltration. An added bonus is that the ‘first flush’ of street contaminates are also captured within the swales instead of running off into nearby waterways and natural areas. Win-Win! Next, we donned our safety gear and headed into the active construction site. Dwarfed by the tractors and earth movers, the small group of fluorescent travelers paused to examine a gabion retaining wall being built a short distance away. The massive scale is illustrated by the small appearance of full sized work trucks parked on the top of the hill. Along an easement road, Karen explained how Novak Environmental helped to save the established riparian vegetation (included large cottonwoods!) 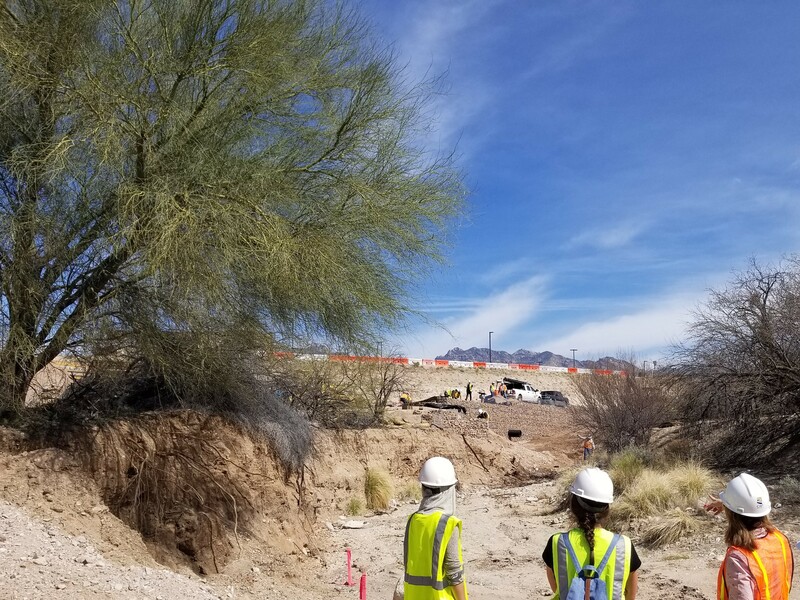 along the Rillito wash through creative design on that end of the project. In order for the steep site to be built upon, a large amount of earthwork is necessary. Karen explained how this to the landscape architecture students as the machines were actively running, which lead to a very interesting and practical view. 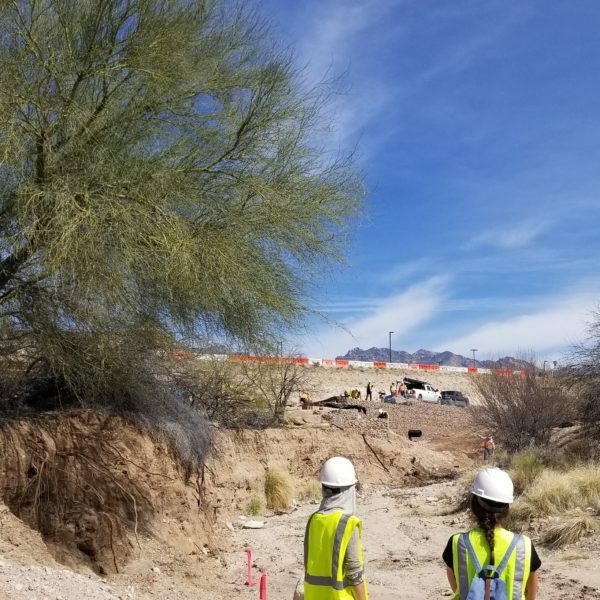 So many aspects of the project were looked at it wouldn’t be practical to list them all here, but needless to say it was a great time for Novak Environmental, Inc. and the University of Arizona landscape architecture students. We couldn’t be happier to have been able to participate in Shadow Day once again and appreciate the Student Chapter ASLA for organizing it. We look forward to doing it again next year!